Sheng Rong practises in the area of dispute resolution, with a focus on complex cross-border litigation and international commercial arbitration. He has acted as lead counsel and has worked with various Senior Counsel on a range of matters. He has appeared in litigation before the Singapore Court of Appeal, the Singapore International Commercial Court and the Singapore High Court, and in arbitrations under the rules of the Singapore International Arbitration Centre (SIAC) and the International Chamber of Commerce (ICC). Sheng Rong’s main areas of practice include energy and resources, commercial fraud and investigations, employment, and equity and trusts, and he has represented government-linked entities, banks and financial institutions, corporations and high net worth individuals. He also regularly volunteers for pro bono cases under the Criminal Legal Aid Scheme. Prior to joining the firm, Sheng Rong was a Deputy Public Prosecutor at the Attorney-General’s Chambers, where he conducted investigations and prosecutions in respect of a range of various criminal and regulatory offences, including white-collar commercial crime, cybercrime, and securities and regulatory matters. He was the winner of the Christopher Bathurst Prize 2011, organised by Fountain Court Chambers in London, UK. He also came in as the first runner-up in the ECC-SAL International Mooting Competition 2013, organised by Essex Court Chambers in London, UK. 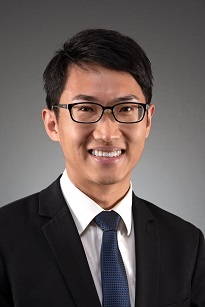 Sheng Rong was accepted into the prestigious NYU-NUS LLB-LLM concurrent degree programme, and graduated on the Overall Dean’s List. Some of the matters which Sheng Rong has worked on are listed below.